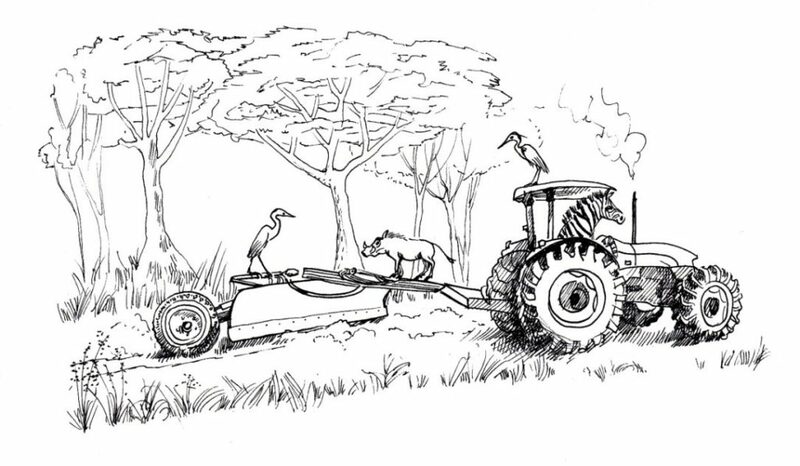 The new grader is commissioned, we look forward to smooth roads in the reserve. Thanks Julia for the pic. 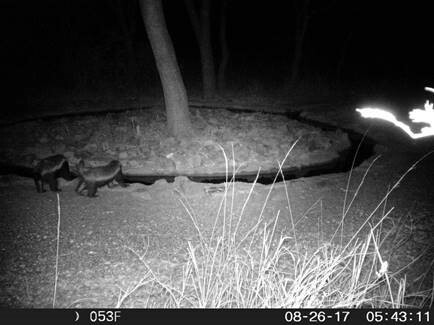 Meso mammal Honey Badgers, probably a mother and offspring visiting a water hole in the wilderness section of Nylsvley Nature Reserve, thanks Natasha for the pic. 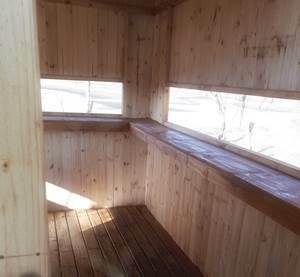 The bathroom benches for the group camp are presently sitting in our driveway! Will be delivered at the end of the month. has been submitted to DMR plus the payment that had to go with it! and await with trepidation their reaction! Watch out for the Barn Owl in residence in the gatehouse to the reserve. 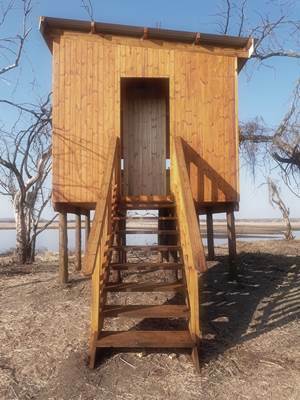 The replacement Crake Hide is a reality! 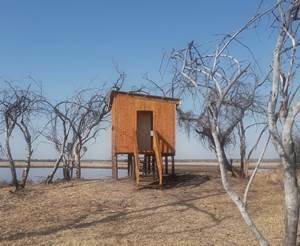 with grateful thanks to Natasha for the pics, the Friends who sent donations after the great fires in September 2013, the architect, ‘Woodworx’ the Wendy House Company that constructed and installed the hide and Natasha Möller and staff at Nylsvley who prepared the site. Benches, some of them saved from the fire, have been put in. The handing over ceremony will be on Monday morning 28 August meeting at Vogelfontein at 09h00, followed by coffee and sandwiches at the Spoonbill Restaurant. Accommodation will be available in the group camp on the Sunday night before, all friends are invited, please let me know soon if you will be coming. We still have a few places for the Meso-Mammals course with Ulrich Oberprieler from Friday 25-Sunday 27 August. We are looking for an Environmental law practitioner who is willing to help us with the appeal process for the proposed platinum mine on the farm Volspruit near Makopane, anyone willing?